I'm back this week with another review for a fantastic new children's book. 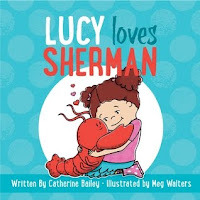 Lucy Loves Sherman, written by Catherine Bailey with vibrant illustrations by Meg Walters, is a love story of sorts. Our heroine, the young Lucy immediately falls in love with Sherman. She is certain the two will become best friends. The only problem. . . Sherman is a Lobster! The fateful meeting occurs at the local fish market. Lucy is visiting with her Nana when she eyes the large crustacean. She begs Nana to allow her to take Sherman home with them. Lucy argues that the 18 pound lobster would be the perfect pet. "No shedding! No barking! No chewing on the furniture!" Naturally, Nana refuses. That's when things take a turn for the worse. The chef from a local restaurant quickly purchases Sherman with the intent of featuring him as a special meal. The resourceful Lucy springs into action. When sabotage and deceit fail her, Lucy turns to peaceful and informative activism to save her strange friend. Lucy Loves Sherman is a delightful tale of the unlikely friendship of a girl and a lobster and the power of celebrating friendship despite differences. Bailey's book teaches that anything is possible if you believe that it can be done. The resolution sees Lucy teaching her town about how important Sherman is. She uses the facts about him and her love for him to convince the town to rally behind his release. Walters fun illustrations bring the story to life with a colorful flair. Lucy Loves Sherman is sure to entertain your little ones and inspire them to appreciate all the creatures that fill their world. For more information, visit the publisher's website, Amazon, and Goodreads. 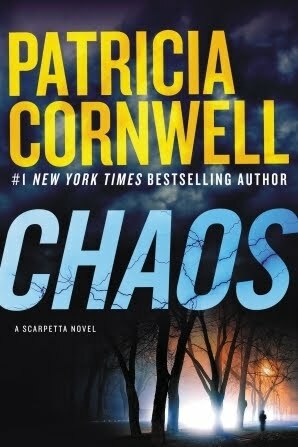 I've recently jumped back into Patricia Cornwell's famed Kay Scarpetta series. My love/hate relationship with the main character caused me to shelf the series for some time, but I couldn't stay away for long. For my money, no one writes with the thrilling reality that Cornwell does. Given my enjoyment of the past couple novels, I came into this latest one with high expectations. This 24th installment begins with Scarpetta and her FBI agent husband Benton attempting to have dinner at the exclusive Harvard University club. Scarpetta is preparing to give a lecture to some students there. All too often, the couple's meals are interrupted by their work, and this occasion is no different. They both receive calls about a mysterious death on the campus. A female biker has been found dead of an apparent lightning strike. Immediately, something seems off. How could a woman be killed by lightning on such a clear night? The situation is compounded by a string of mysterious texts from a figure called Tailend Charlie. Scarpetta receives these odd poems that contain personal details that only someone close to her would know. As the details of these messages begin to coincide with her ongoing investigation, Scarpetta's paranoia reaches a peak. All evidence has her believing that the nefarious serial-killer Carie Grethen, who has been at large for the last couple of novels, is somehow connected to the murder. Like the previous novel, Depraved Heart, Chaos takes place over a short period of time and focuses mostly on Scarpetta's inner dialogue. In the words of Elvis Presley, "A little less conversation, a little more action" could have gone a long way in helping the pace of most of the early portions of this book. Scarpetta's inward paranoia was not enough to propel the beginning of the story. Fortunately, the action increased as the investigation progressed. It was great to see Scarpetta be a little more hands on with examining the body and crime scene. This is what captured my imagination in the early books, and it was nice to see Cornwell return to these elements. The narrative arc that began in Flesh and Blood comes to a satisfying, but slightly too convenient, conclusion in this story. With the promising progression of the last three novels, I'm excited to see how Cornwell evolves her character next. "Does goodbye really mean forever?" Sebastian Hart is no stranger to heartbreak. When he was just a boy, he lost his mother to cancer caused by secondhand smoke from his father. The rest of his father's short life was spent with guilt and grief, leaving Sebastian without the support that he desperately needed. Now, on the eve of his fortieth birthday, Sebastian is still reeling from his latest misfortune. Exactly one year ago, Sebastian's husband Frank was killed in a tragic accident. The usually loving couple had an argument immediately preceding the incident, and Sebastian can't forgive himself for allowing this negative moment be his final memory of the love of his life. To make matters worse, Sebastian's dream of being a choreographer for a Broadway show seem more out of reach than ever before. As a soon to be forty-year-old man, he's seen the coveted spots as members of the chorus become nearly unattainable. Directors seem to only cast young boys. Instead of managing a large production, Sebastian struggles to coordinate a simple number for his community tap class. Without Frank as a second source of income, he turns to temp jobs as a dog walker and office clerk to make ends meet. On the night of his birthday, Sebastian's best friend Chloe, a retired Rockette who partakes in plenty of men and alcohol, believes she has the cure to his perpetually sour state. She tries to set him up with Reid, a hunky landscaper who has also joined Sebastian's tap class. Deep down, Sebastian's heart will always belong to Frank, but could it be time to move on? Will his heart ever be capable of loving again? 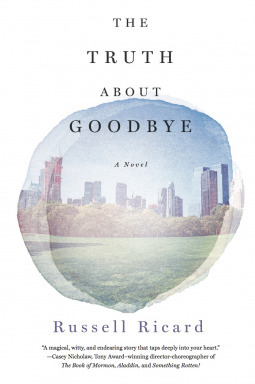 In his debut novel The Truth About Goodbye, Russell Ricard writes about love, loss, and the insecurity that can come with aging. I immediately began to make comparisons with another story about loss that features a gay couple, A Single Man by Christopher Isherwood. I appreciated the way Ricard brought the topics explored in that groundbreaking work into the 21st century. It is amazing to reflect upon both the shared troubles and remarkable progress of the LGBT community between the two time periods. 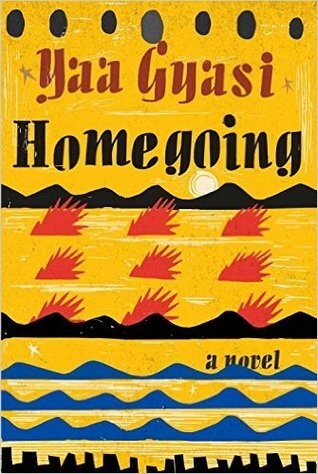 Despite all of the positive intent of this novel, I felt myself wanting more from it. Large sections of dialogue, especially those dealing with the more internalized conflicts of guilt and grief, came off as disingenuous. This made it difficult to relate to Sebastian's situation. This wouldn't be frustrating if there weren't glimmers of brilliance throughout the work. Ricard's description of the behind the scenes drama in a Broadway show and any section featuring his fierce character Chloe were vividly written.The clarity of these moments caused the rest of the story to pale in comparison. Overall, The Truth About Goodbye, is a mixed bag that merely scratches the surface of the intriguing ideas that it teases. This review is part of a TLC Book Tour. If this sounds like a book that you would like to read, enter to win a copy courtesy of the author and publisher. US entries only. No P.O. boxes please. Winner will have 48 hours from contact to respond. "You think you know how a story begins, or how its going to turn out, especially when it's your own. You don't." How did she end up here? Lady Daniels has been pretty independent for her entire adult life. Years ago, her lover left her to raise their son Seth. Beyond the fact that she had no money and a mother who would rather judge her than help, Lady had the added challenge of raising a child who could not speak. All the doctors and specialists reached the same conclusion about Seth. There is no medical explanation for him being mute. Understandably this leaves Lady guilt ridden and having more questions than answers. Years later, Lady is facing a different kind of crisis. Her husband Karl has moved out and left Lady to raise their young son Devin while still worrying about teenager Seth. She has also been commissioned to write a book about her journey as a mother facing her son's disability. Time constraints of motherhood aside, Lady is having a hard time writing this book. It is forcing her to recall a painful period of time and uproot memories that were long laid to rest. Even worse, Seth is beginning to question his past. Who is his dad? Why did he leave? Is a reunion in the cards? Enter the elusive "S". Born Esther Shapiro, the twenty-something art student has taken on a new identity. She's running from a failed art project and disastrous relationship and looking for a fresh start. Not only has she found her next great work of art, but she's also found a way to remove herself from her previous life. For her latest masterpiece, S has assumed the role of her tragic alcoholic mother. She dresses like mom, drinks herself into blackouts, and ignores the people and relationships around her. The best part of all of this, S has convinced Lady that she is the perfect person to be a live in nanny for little Devin. What could possibly go wrong?! 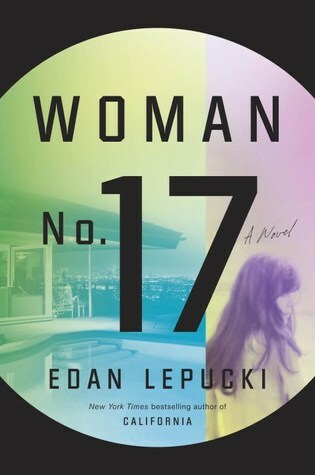 Edan Lepucki follows her hit novel California, with the masterful character study Woman No. 17. Chapters shift between the point of view of Lady and S, highlighting their time together as each woman navigates the challenges of their lives. The two contrast each other in a commentary on the way people change as they age. 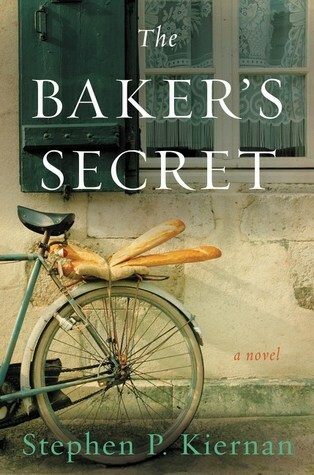 Lepucki manages to create well developed and engaging characters, even when the women act in less than sympathetic ways. The novel ends up being a thoughtful exploration of motherhood, art, disability, and the way we navigate the difficulties of everyday life. Woman No. 17 is a brilliant blend of reflective observation and captivating drama that makes it an excellent read. Henrietta Lacks single handedly changed the course of scientific research and discovery. Unless you have read author Rebecca Skloot's bestselling novel The Immortal Life of Henrietta Lacks, you have probably never heard of her. Lack's was a young African American woman who succumbed to cervical cancer in the 1950's. Lack's cancer cells, known in the scientific community as HeLa, were rare in that they were infinitely replicable and could be grown in a lab. As such, these immortal cells became paramount in the research of curing diseases. Rather than focusing on the questionable moral nature of such research, especially considering the massive profits made by those who used the cells, the book and subsequent film focus more on Lack's life and the people she left behind. Oprah Winfrey stars as Deborah, Lack's daughter. Deborah is hesitant when aspiring author Rebecca (Rose Byrne) contacts her about writing a book on Henrietta. Years of misinformation and mental illness color Deborah's life, and reluctance on the part of her siblings to speak about the past only adds to this paranoia. But curiosity wins out and the two embark on the incredible journey of discovering the life of Henrietta and in turn discovering more about themselves. I actually haven't read the book, but I was immediately drawn into this story. I was surprised at the way Winfrey disappeared into her role. She perfectly captured the distrust and paranoia of the mentally ill Deborah while still making her a sympathetic and emotionally genuine being. What begins as a voyage into the past quickly becomes one of friendship and respect. This is ultimately a "feel good" film that doesn't stray into enough depth to be completely satisfying. I felt as if the story ended without ever provided a true sense of resolution. Still, as a made for TV film, it hits all of the right notes. I only wish the story and rest of the film could have lived up to the performance that Winfrey provides. 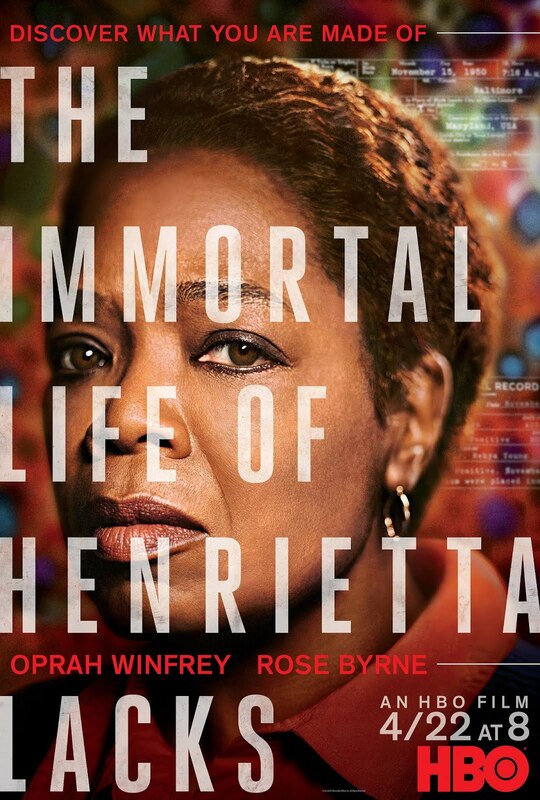 The Immortal Life of Henrietta Lacks is currently playing on HBO and HBO Go.